Recently, KTM India updated its current line up with antilock braking system. 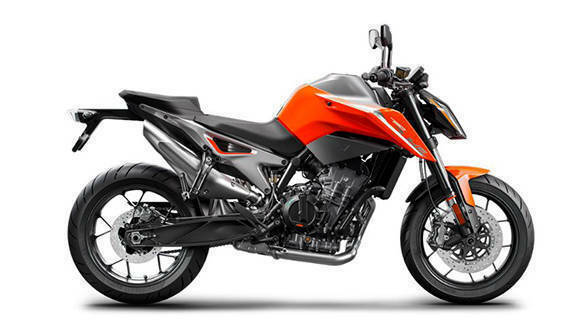 Now, KTM is gearing up to launch the 790 Duke in India next month. The street naked motorcycle is expected to break cover in the first week of April and could be priced between Rs 7.5 lakh and Rs 8 lakh ex-showroom. 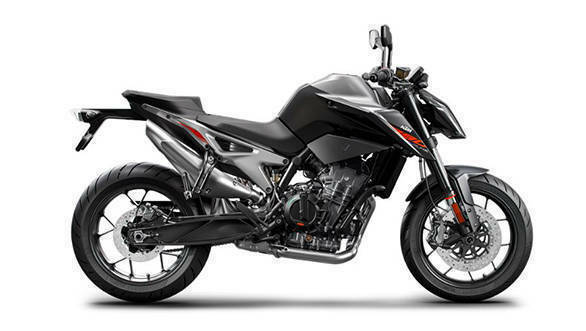 The upcoming KTM 790 Duke will be a CKD motorcycle and 100 units of the bike have already landed at the company's Akurdi plant for research and development and service training purposes. The engine components and cycle parts of the bike will be imported while the other parts such as the headlamp, levers etc will be sourced from local manufacturers. The chassis uses the engine as a stressed member and the bike gets 43mm WP upside-down fork in the front and a WP mono-shock absorber at the rear. The bike gets twin disc setup in the front with 300mm disc with radially mounted four-piston callipers. For the rear wheel, the bike gets a 240mm disc with a single-piston floating calliper. 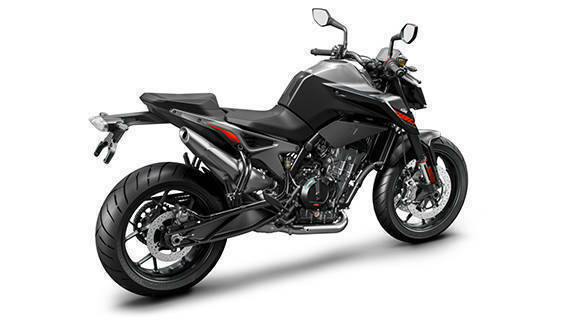 The bike is equipped with ABS which has a supermoto mode and can be switched off completely. Powering the middleweight 790 Duke is the newly developed 799cc LC8 liquid-cooled parallel-twin engine 104PS and 87Nm of torque. The engine will come mated to a six-speed gearbox with a two-way quick shifter. The KTM 790 Duke takes on the likes of Kawasaki Z900, Triumph Street Triple S and the Ducati Monster 797.